TROUP, J. Rose. With Stanley’s Rear Column. By J. Rose Troup, Late Transport Officer of the Emin Pasha Relief Expedition. With illustrations. Second edition. London: Chapman and Hall, 1890 8vo. xi,361pp. + 40pp. publisher’s advertisements, 14 plates, coloured folding map, appendix. John Rose Troup (? – 1919) joined Stanley’s expedition for the relief of Emin Pasha, governor of Equatoria. Left with the Rear Column, Troup gives his version of events, refuting many of Stanley’s public accusations of incompetence. 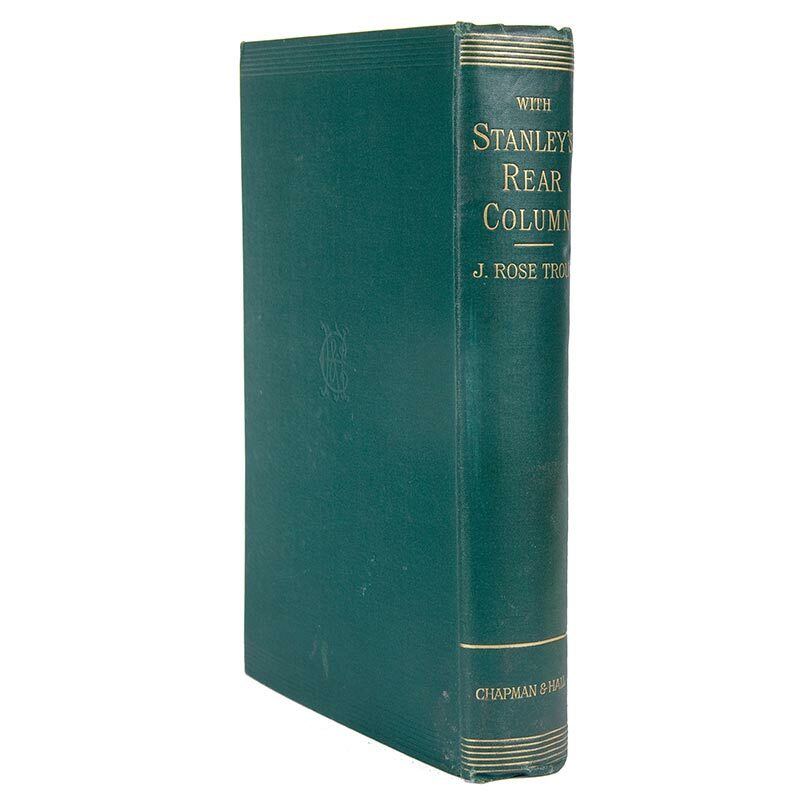 The preface details the author’s disagreement with Stanley and the resulting court actions concerning the publishing of this work. A very nice copy in the publisher’s green cloth.